iStan is the most advanced wireless patient simulator on the market, with internal robotics that mimic human cardiovascular, respiratory and neurological systems. When iStan bleeds, his blood pressure, heart rate and other clinical signs change automatically, and he responds to treatment with minimal input from an instructor. With wireless operation, iStan can be placed in any field location, including an automobile, and display all the vital signs and signals of a critically ill or injured patient. An instructor can manage the simulation from a remote laptop. With fully articulated limbs and joints, iStan offers mobility from first point of care to the operating room. iStan was a technological breakthrough, with integrated physiological responses that closely resemble those of a human patient. In addition to multiple pulse points and fully independent right and left lungs that respond automatically to treatment, iStan can simulate flail chest, cyanosis on fingers and toes and difficult airway challenges. 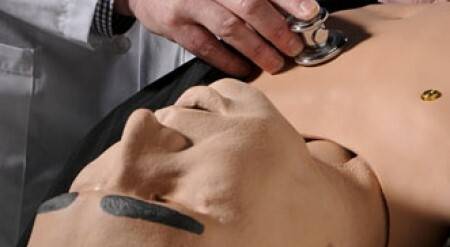 With a realistic airway, articulated joints and blood on board, iStan has full mobile simulation capabilities. iStan is now available with two skin options - medium and dark. iStan features 14 preprogrammed Simulated Clinical Experiences (SCEs) and integrates with most of CAE Healthcare’s learning modules. Each learning module contains evidence-based training scenarios designed to immerse learners in a clinical environment. The scenarios include learning objectives, facilitator’s notes, equipment and supply list and software application. 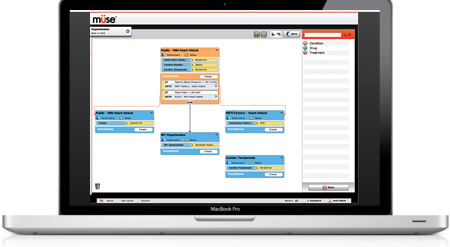 Operating iStan is simple with the Müse interface. The dashboard features an image of the patient as well as streaming patient data from monitors, the patient’s conditions and medications, a menu of Simulated Clinical Experiences (SCEs) and a timeline. 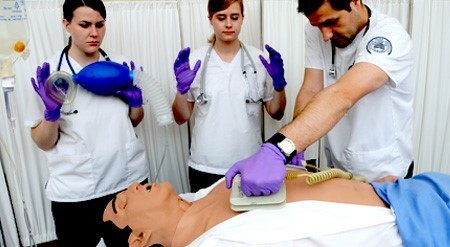 The patient physiology and SCEs can be preset so an instructor can focus on teaching.